The intracranial volume (ICV) in children with premature fusion of one or more sutures in the calvaria is of interest due to the risk of increased intracranial pressure. Challenges for automatic estimation of ICV include holes in the skull e.g. the foramen magnum and fontanelles. 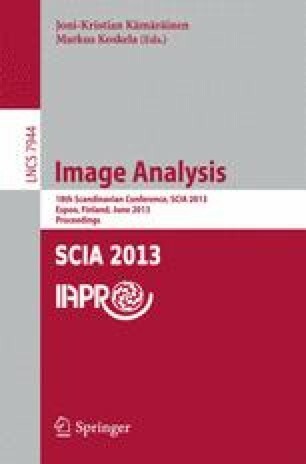 In this paper, we present a fully automatic 3D graph-based method for segmentation of the ICV in non-contrast CT scans. We reformulate the ICV segmentation problem as an optimal genus 0 segmentation problem in a volumetric graph. The graph is the result of a volumetric spherical subsample from the data connected using Delaunay tetrahedralisation. A Markov Random Field is constructed on the graph with probabilities learned from an Expectation Maximisation algorithm matching a Mixture of Gaussians to the data. Results are compared to manual segmentations performed by an expert. We have achieved very high Dice scores ranging from 98.14% to 99.00%, while volume deviation from the manual segmentation ranges from 0.7%-3.7%. The Hausdorff distance, which shows the maximum error from automatic to manual segmentation ranges, from 4.73-9.81mm. Since this is sensitive to single error, we have also found the 95% Hausdorff distance, which ranges from 1.10-3.65mm. The proposed method is expected to perform well for other volumetric segmentations.